Elena da una cena en su casa para la gente más importante de su vida. Una ocasión para disfrutar todos juntos. Mientras, Elena inmortaliza la cena con su videocámara para que la velada sea inolvidable. Y lo será: les espera una gran noticia. Elena holds dinner for the most important people in her life. An opportunity to enjoy together. 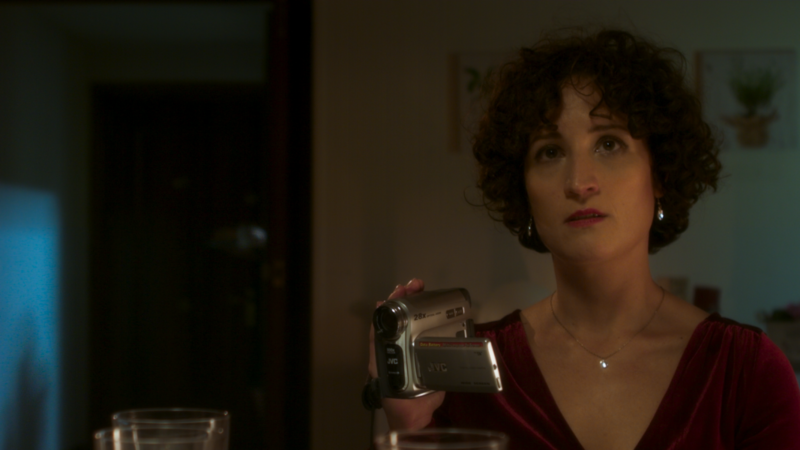 Meanwhile, Elena records the party in her videocam to make it unforgettable. And it will be: there's a big announcement awaiting. TITO RUBIO IGLESIAS (ESPAÑA, 1981). Miembro de la Plataforma de Actores y Actrices desde su fundación, actor, performer, productor y director de arte bizarro y tangencial. Su vida en el mundo artístico ha estado siempre enlazada con una fuerte trayectoria social. Coordinando proyectos en los que el arte es una herramienta para el desarrollo y el conocimiento de las habilidades sociales. Con este fin ha trabajado en entidades humanitarias como la Cruz Roja hasta galerías de arte como la Juan Gallery, pasando por el Centro Dramático Nacional. Su leitmotiv para la creación son las diferencias entre individuo y sociedad ante una misma pauta. TITO RUBIO IGLESIAS (SPAIN, 1981). Member of the Platform of Actors and Actresses since its foundation, actor, performer, producer and director of bizarre and tangential art. His life in the artistic world has always been linked to a strong social trajectory. Coordinating projects in which art is a tool for the development and knowledge of social skills. To this end he has worked in humanitarian entities such as the Red Cross to art galleries such as the Juan Gallery, through the National Drama Center. His leitmotiv for creation are the differences between individual and society with the same pattern. 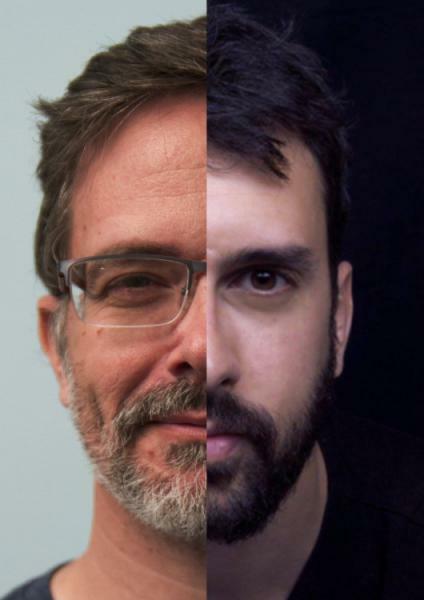 FERNANDO MAHAVE (SPAIN, 1972) is a member of the SomosFilms collective since its foundation, a freelance Video Editor and a loving father of two kids Monday to Friday (walking dead the rest of the week). After a series of jobs as a sales agent he decides to begin a career in the audiovisual industry as a Video Editor, Director and ocasional Scriptwriter. As an Editor he makes his professional debut in 2014 with SomosFilms videoclip for Carla Tapia's Etereo. Afterwards, along with said collective he joins the crew of the webseries Demañananopasa as second Assistant Director and Video Editor. After that he takes part in the editing team of shortfilms as Oleuba, music videos as Pick Me Up and the recent webseries Ajuste De Cuentas. He has also worked in a number of corporative and inspirational videos, booktrailers and music videos for others companies as a freelance editor. 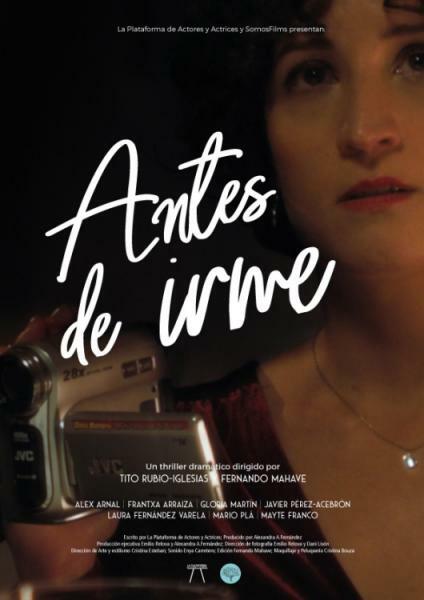 Early in 2018, Fernando Mahave and SomosFilms finished postproducing their most recent shortfilm, Antes De Irme (Before I leave).